No genre releases at all this week in the US of note, but thankfully there are a shedload of Region 2 releases to make up for it. First off, and best value of the bunch, is the terrific Tigon Collection DVD boxset, featuring 6 classic Brit horrors from the studio that too often lived just under Hammer's headlights. Other than that, it's great to see Hero receiving it's DVD debut (easily one of the best films of last year), and following on from The Grudge remake release last week, there's now a double-disc special edition for Takashi's original which goes on sale from monday. 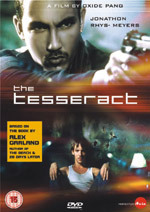 Alex Garland and Oxide Pang team up to give us The Tesseract, a stylish thriller set in Thailand, and there's also The Manson Family, but we're not going to say too much about that one. Re-releases include Creepshow 2 (a sub-par follow-up to the enjoyable original), Flowers in the Attic, and, for all you Asian fans, there are three Shaw brother releases, The Heroic Ones, Heroes 2 and Spiritual Boxer. This six-disc DVD box set features the very best from the British film production company whose name has become synonymous with cinematic terror. Specially packaged in a stunning coffin shaped presentation box, The Tigon Collection includes the films The Body Stealers, The Beast In The Cellar, The Haunted House of Horror and Virgin Witch along with two undisputed classics, Blood on Satan's Claw and Witchfinder General. 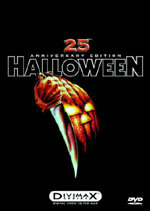 Special Features across the collection include audio commentaries by directors and stars, gallery of Tigon distributed films, "Tigon Tales of Terror" featurette, "The League of Gentlemen" featurette, poster and stills galleries, liner notes, biographies, stereo 2.0 audio plus optional 5.1 and DTS. Full details can be found on the official Anchor Bay UK website. 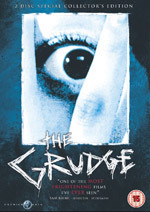 Written and directed by Shimizu Takashi The Grudge (Ju-On) is coming to DVD as a two-disc Special Collector's Platinum Edition to coincide with the DVD release of the American remake. Buy this DVD at Amazon.co.uk for £14.99 (correct at time of publishing). The latest film from Oxide Pang Chun, the acclaimed director of the horror sensation The Eye, is based on the bestselling novel by Alex Garland (The Beach, 28 Days Later). Starring Johnathan Rhys-Myers and Saskia Reeves this is a stylish, edgy thriller about four individuals whose destinies collide with violent and tragic consequences. Read our review of Tesseract from our Frightfest 2004 report. 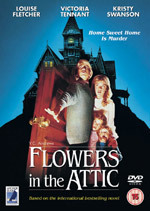 Based on Virginia C. Andrews' phenomenally successful novel of the same name, Flowers In The Attic stars Louise Fletcher (One Flew Over The Cuckoo's Nest), Kristy Swanson (Buffy The Vampire Slayer) and Victoria Tennant (L.A. Story) in a sinister, neo-Gothic tale of brutal cruelty, forbidden passion and murder. Features include a widescreen presentation, trailer, film notes, talent biographies, original mono sound mix, optional 5.1 and DTS sound, and SHD subtitles. Buy this DVD at Amazon.co.uk for £11.24 (correct at time of publishing). 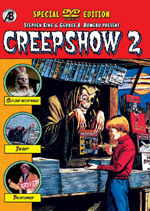 Following the success of their 1982 anthology Creepshow, in 1987 writer Stephen King and director George A. Romero served up a second helping of EC Comics-inspired horror in Creepshow 2, this time opting to co-write the script and handing over directorial duties to Romero's regular cinematographer, Michael Gornick. Buy this DVD at Amazon.co.uk for £12.74 (correct at time of publishing). A movie as controversial as it is relentlessly shocking, Jim VanBebber's The Manson Family tells the story of the most infamous cult of all time, examining one man's twisted vision and how it turned the hippy dream into a nightmare. The film recreates, in graphic detail, the story of Charles Manson and his notorious ‘Family', from their early hippie cult beginnings to the shocking Tate/La Bianca murders and beyond. Buy this DVD at Amazon.co.uk for £11.99 (correct at time of publishing). 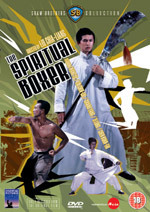 Fight choreographer Lau Kar Leung's astonishing directorial debut, the action-comedy The Spiritual Boxer stars Ti Lung, Jimmy Wang and Chan Koon Tai and concerns a pseudo-ghost catcher and apprentice to a spiritual boxing master, whose bogus ceremonies and demonstrations result in him falling foul of both his fellow townsfolk and the local gangsters. Severely lacking in the spiritual boxing skills necessary to invoke the gods and give him the power to withstand all weapons, he does, however, possess an awesome talent for kung fu fighting. It's a gift that proves to be more than essential when his seemingly small-time confidence tricks bring him more trouble than he bargained for. A spectacular historical martial arts epic set during the decline of the Tang Dynasty. 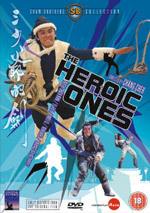 Boasting a talent pool that includes the "Iron Triangle" of director Chang Cheh and stars David Chiang and Ti Lung, The Heroic Ones is, perhaps, the quintessential Shaw Brothers film and one of the all-time classics of Hong Kong action cinema. 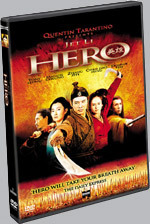 A true landmark feature in kung fu film history from the Shaw Brothers Studio, Heroes Two showcases the inimitable talents of director Chang Cheh, choreographer Lau Kar Leung and star Alexander Fu Sheng at the height of their powers. 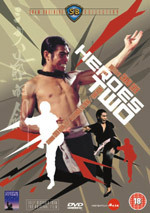 Of the dozens of great martial arts films made by the prolific Chang Cheh, Heroes Two is considered one of his best thanks, in no small part, to the work of his two aforementioned collaborators.